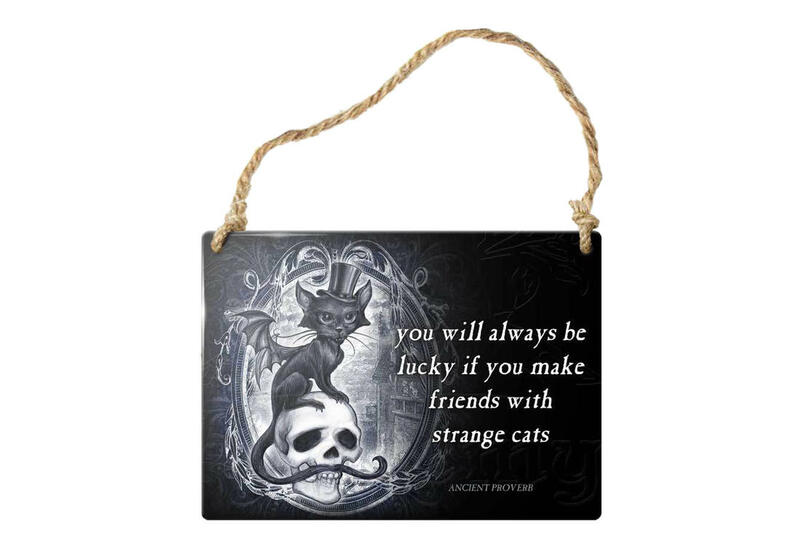 "Strange Cats Sign" made of printed enameled metal with rope. Measures approximately 2.6 inches wide, 3.5 inches high and 0.04 inches deep. Imported from the UK. 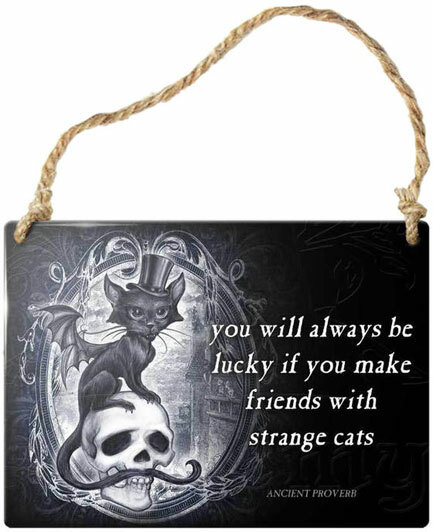 Alchemy Gothic design.